For mesh sale products preview click on the pics below i set them as derivable so you can try your opacity and textures !!! When you place the order use the order form and correct names for the files! You will receive .RAR files if you want to receive them like open files (extracted) pls mention that before i send the order! *Wait until I confirm your order before sending credits. *Give me 24h to confirm your order and send files. *Credits must be sent first in order for you to receive my files. *No Refunds once the files have been sent. DO NOT RESELL or claim work as your own. You can use files in only one account!!! I preserve the right to decline your order with no further explanation! 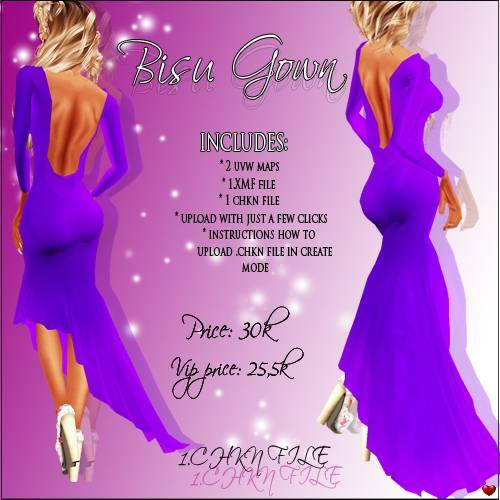 You can set as derivable! All the meshes are designed and made by my partner or me and we reserve the right to sell them. I preserve the right to change the terms. IF I SEE THAT YOU DID VIOLATE TERMS LISTED ABOVE I WILL IMMEDIATELY FILE DMCA AGAINST YOU AND YOU WILL LOSE RIGHTS ON ANY FILES EVER PURCHASED FROM ME OR MY PARTNER!!! 50% OFF lasts until - October 22 ! ! !